MADISON – As Wisconsin farmers continue to recover from recent extreme weather events and move into the harvesting season, it can sometimes be difficult to find a market for either selling or buying needed crops. The Farmer to Farmer website is intended to help facilitate that process. Best thought of as an electronic neighborhood bulletin board, the Farmer to Farmer website allows local farmers to get in touch with one another. The website facilitates the local marketing of feed commodities where livestock producers in need of high moisture corn, corn silage, hay, or straw can easily make contact with farmers that have feed commodities for sale. The site, developed and supported by UW-Extension, can be found at http://farmertofarmer.uwex.edu. The Farmer to Farmer Corn and Forage List is free of charge for both buyers and sellers. Users can search for, or list for sale, hay, haylage, straw, high moisture corn, corn silage or corn grain. Buyers can search for farmers in just one Wisconsin county or in any number of counties at once. This site has been an excellent way for buyers and sellers to get in-touch locally. Neighbors often within short distances have been able to buy and sell as a result of the website. All transactions and negotiations are handled directly between buyers and sellers. People who wish to use this service but do not have access to the Internet can get access and assistance at their county UW-Extension office. 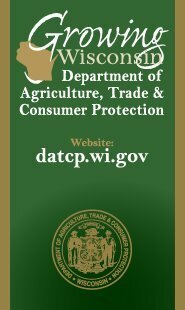 You can also call DATCP’s Wisconsin Farm Center at 800-942-2474, Monday through Friday from 7:45 a.m.-4:30 p.m. for additional information.